Today is Family Day! Family Day begins before dawn. 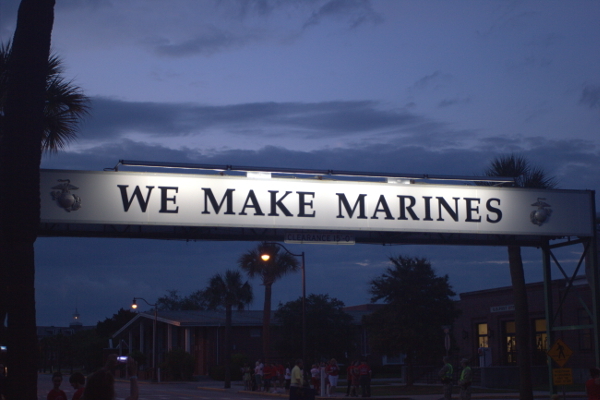 We arrived on MCRD Parris Island about 4:45 a.m. I finally get to lay eyes and hands on my Marine for the first time! How exciting! We are finally here for our son’s graduation from boot camp! It has been a very long journey. The journey has been filled with ups and downs, highs and lows. 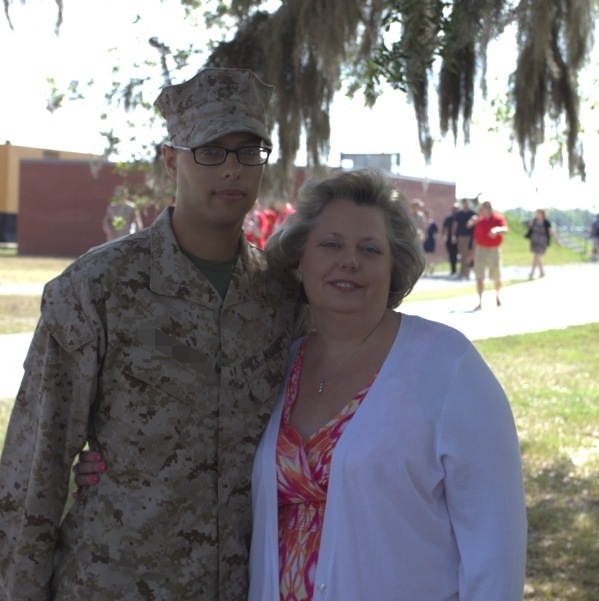 There were times when I was very worried about my son, but I knew he had it in him to be what he had always dreamed, a United States Marine. Now we are here to watch that very thing become a reality. Family Day is a day where all of the families get to see their Marines for the very first time in 13 weeks. I cannot begin to describe to you the changes they go through during that timeframe. I was warned that the son I put on the bus, was not the son that would return to me, and they were right. He is now a United States Marine, and has all of the confidence, strength, and poise that position requires. Family Day begins before dawn. 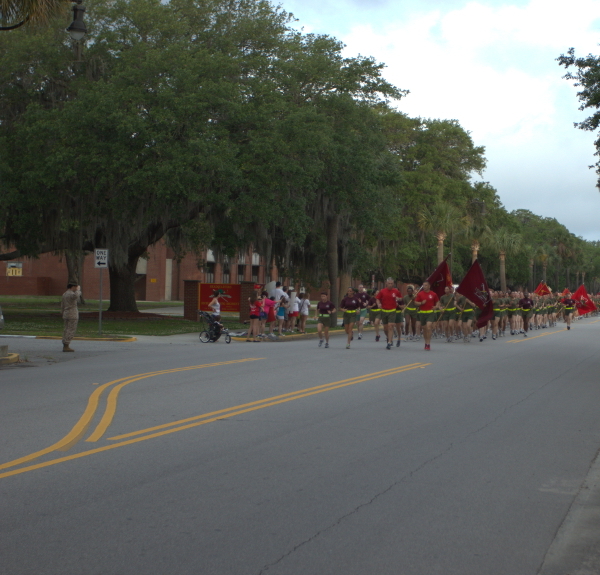 We find our place along the main drive on MCRD Parris Island to await the beginning of the “Moto Run” at 7:30 a.m. This is a motivational run by the graduating platoons, that gives the families their very first glimpse of their recruits, after the very long wait of basic training. 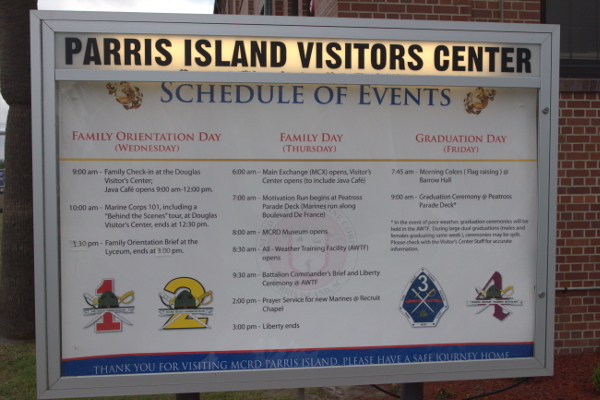 Now for those that want to arrive earlier than we did, there is an opportunity to see your Marine earlier than Family Day. The day before Family Day you can go on base, and watch your Marine practice for graduation. We however chose not to do this, as to not spoil the surprise, amazement, and beauty of graduation day. At 9:30 a.m. there is a Family Day Ceremony. In this ceremony your new Marine and his platoon are presented to the families, and there is a lecture preceding this event. 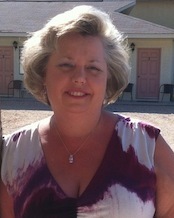 This was taken right after I got to hug my son for the fist time in months! It was priceless! Isn’t he handsome in that uniform? 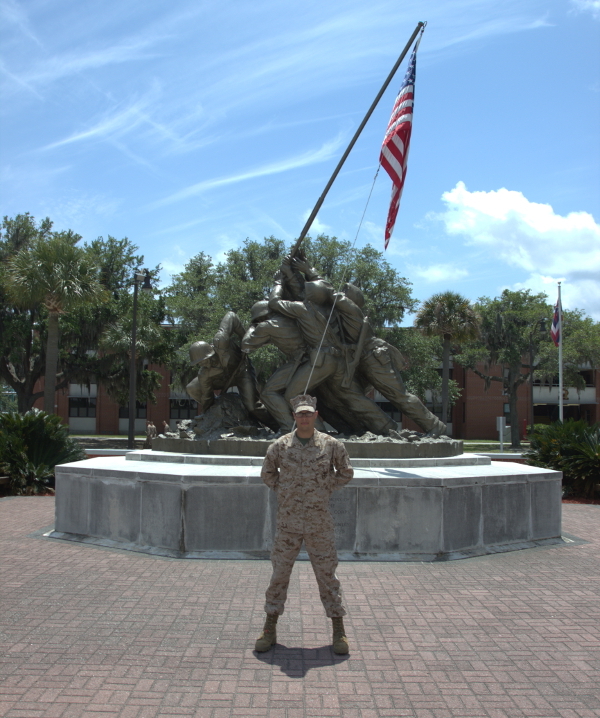 This is a picture, that everyone who comes to MCRD Parris Island, takes of their new Marine at one time or another, the portrait in front of the Iwo Jima Monument. The rest of the day was spent listening to my son talk about his training and his platoon. I could not get enough of his smile, hearing him talk, and just being with him after so many months apart. It was the first time we had been separated that long. Our son took us on a insiders tour of “the island” as the it is so fondly referred to. There are other activities on Family Day. We sat in on a lecture about becoming part of the Corps. Now, this was not new to me as my oldest is a Marine. There are also opportunities to buy souvenirs, pick up items that have been ordered prior to graduation, and ride around the island and explore. I hated to say “see ya later” to my new Marine that afternoon but, I would soon realize this would become one of many “see ya laters” in our future. Tomorrow is finally the day we have all been waiting for, Graduation Day! 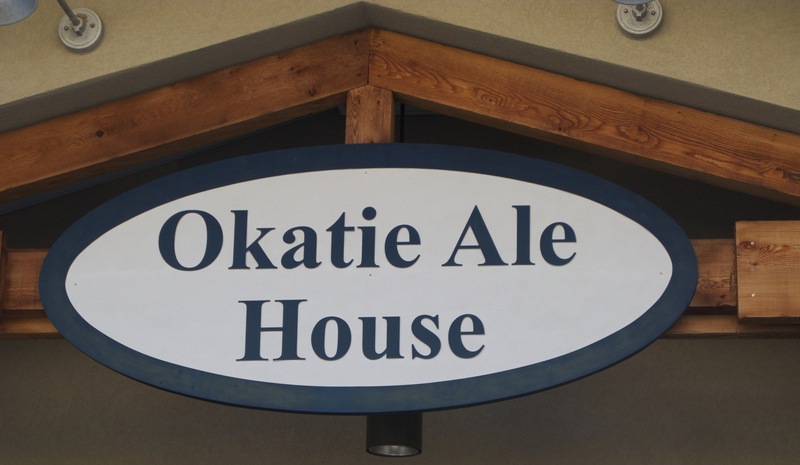 After a long day on MCRD Parris Island we found a great local pub to have dinner, Okatie’s Ale House, in Okatie, SC. Our hotel was just across the freeway from the pub. I cannot begin to describe the emotions of that day. Being separated from your child for so many weeks, while they endured so many hardships and accomplishments, is something that can only be experienced, not described. We anxiously await the setting of the sun, and the arrival of another day, Graduation Day!